PowerBlock and Bowflex are two renowned brands in the market of fitness equipment products. In this article, we will compare their adjustable benches, PowerBlock vs Bowflex 3.1 Bench. Both models are versatile. They can be used for various workout options. So, which one is better? The first thing that you need to consider when choosing between PowerBlock vs Bowflex 3.1 Bench is the dimensions of the unit. Make sure that the adjustable bench can actually fit inside the available room in your home. It will be quite troublesome if the adjustable bench happens to be too large for your room. See also: Bowflex Blaze vs PR1000. PowerBlock Sport Bench is probably a better choice if you have a small room. Compared to its competitor here, PowerBlock Sport Bench is more compact. It measures 50 inches long, 21 inches wide, and 16 inches high. The weight is about 57 pounds. It is equipped with a pair of wheels on the rear stand so that you can move it easily. 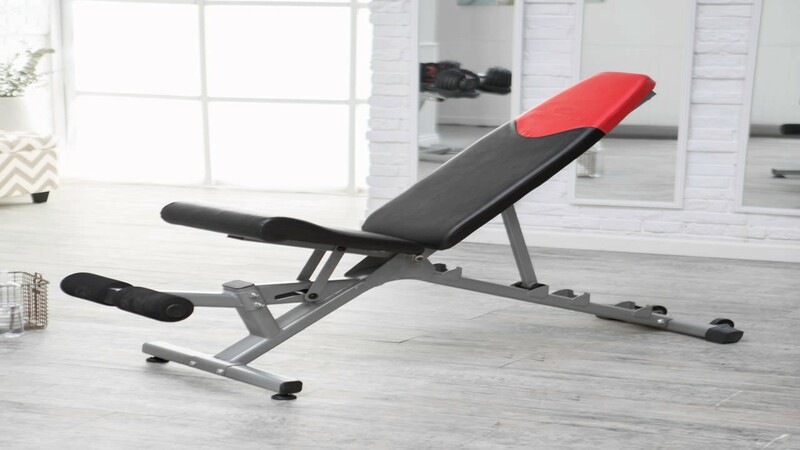 Bowflex 3.1 Bench is a bit larger, so it is suitable if your room isn’t particularly small. It measures 56 inches long, 26 inches wide, and 20 inches high. The weight happens to be slightly lighter at 55 pounds. 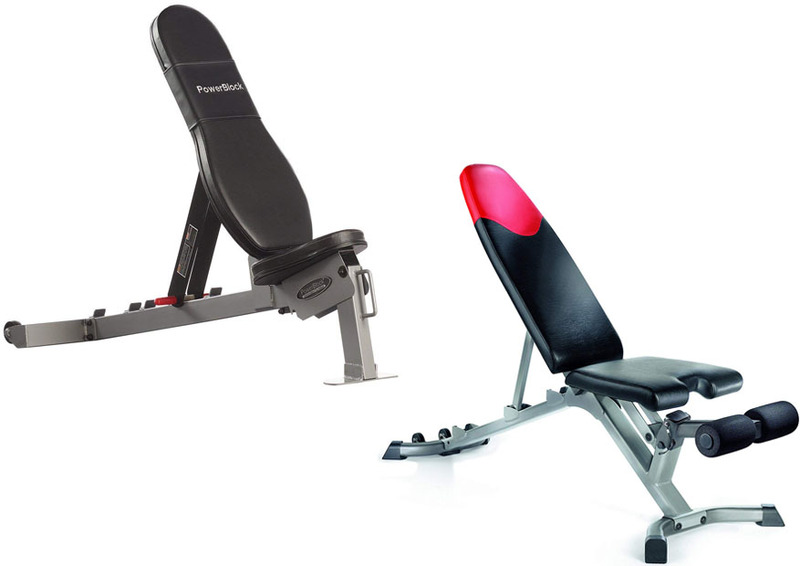 Bowflex 3.1 Bench is also equipped with two wheels on the rear stand, but the two wheels are placed close to each other. It may require you to be a bit more careful to stabilize it when moving the unit. In terms of build quality, both PowerBlock vs Bowflex 3.1 Bench are good. They both are sturdy and durable. They don’t feel flimsy at all, so you can work out with confidence. However, PowerBlock Sport Bench does have a higher maximum weight limit than Bowflex 3.1 Bench. PowerBlock Sport Bench comes with a 14-gauge tubing that measures 2” x 3” to create a solid and sturdy construction. The maximum weight capacity is 550 pounds, so it is great for heavy people. Furthermore, the seat and backrest are all padded with tapered, upholstered cushions to provide the necessary support and comfort. The cushions are made from skimmed foam; they are really supportive and comfortable. The cushions also seem to keep their shapes very well for a long time. Bowflex 3.1 Bench, on the other hand, boasts a construction of heavy-duty commercial-grade steel. The frame is really tough. It has a maximum weight capacity of 480 pounds, which is not bad at all. In addition, it features vinyl upholstery to provide cushioning and comfort. The vinyl cushioning is very easy to clean, as you only need to wipe the surface every after use. There is a removable leg brace for extra support if needed. PowerBlock Sport Bench can be very versatile, suitable for many kinds of workout. This is because PowerBlock Sport Bench has five backrest positions. The backrest is adjustable from flat to military, with 30-degree, 45-degree, and 90-degree angles in between. The gap between the backrest and the seat is rather small, so it is really comfortable to use. In addition, the seat is also adjustable separately. When the backrest is inclined, you can set the seat to sit downwards so that you will not slip off while lifting. This is very convenient. You can adjust the seat to suit your particular preference for the best comfort. PowerBlock Sport Bench has a room for the optional dip attachment. It will slide into the back of the bench to provide a variety to your workout to train your triceps. The dip attachment has a solid construction and is able to hold a weight of up to 250 lbs. On the other hand, Bowflex 3.1 Bench is adjustable to four different positions, which are -10 degree, flat, 45 degree, and 90 degree. The company claims that you can get more than 30 kinds of different exercises from these positions. Although it doesn’t have as many positions as the PowerBlock, it can already target all of the areas of the body and it is definitely sufficient for lifters. 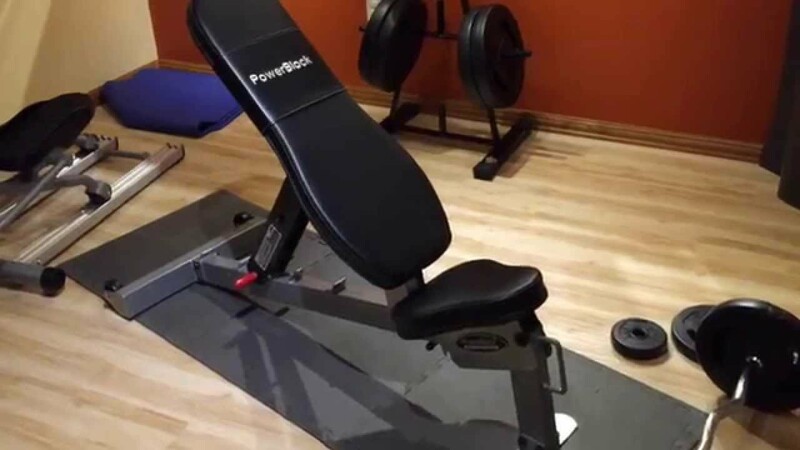 As mentioned above, Bowflex 3.1 Bench comes with a removable leg brace. Some people like using a leg brace for extra support when performing some kinds of workout. However, some other people dislike leg brace very much. So, providing the option to attach or detach the leg brace is a nice touch. Most people prefer a product that is easy and quick to set up. It is fine for a product to require some manual assembly, but if the assembly process is too complicated or difficult, many people will be exasperated. Not all people are good in doing assembly. PowerBlock Sport Bench is definitely the easier one to set up. Most of the parts are already assembled right out of the box, so you won’t need to spend so much time trying to figure out things. You only need to install the rear bottom support bar to the bench, and this task can be done quickly. On the other hand, you need to assembly Bowflex 3.1 Bench manually. Fortunately, the provided instructions are clear and easy to follow. Most of the parts are easy to slot in without any hassle. When trying to put the boards to sit correctly on the frame, you should turn the boards upside down and put the frame onto the boards, instead of the other way around. This is much easier. The assembly process may take about 45 minutes or so. PowerBlock Sport Bench is backed by a decent warranty. The warranty goes for 5 years for the frame, and 1 year for the pad. Fortunately, the build quality is really good, so you probably won’t need to make a warranty claim at all. Still, in case that you get a defective product, the warranty provides good coverage. Bowflex 3.1 Bench is quite impressive with the warranty. It covers the frame for up to 15 years. That’s really cool. The company is obviously very confident with the build quality. However, the pad is only covered for one year. Both are good products, but PowerBlock Sport Bench is slightly more recommended. This model has a more compact size and better design. It can be adjusted to five positions for versatile workout options. It also has a higher maximum weight capacity, and it can be fitted with the optional dip attachment for training the triceps.